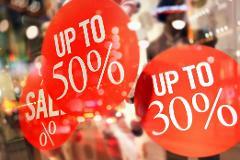 Enjoy a relaxed and fun day of discount retail therapy without the worry of carrying bags or finding directions. 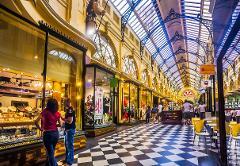 Explore Melbourne's famous discount clothing outlets, back street warehouses and pop-up sales with lunch and champagne. 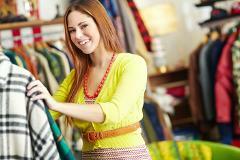 Join an adventure tour of the best vintage and retro clothing shops in Melbourne. From Footscray to Fitzroy delve into a treasure trove of hidden gems in shops carrying clothing and accessories from the 1920’s to the 1990’s. Not just a walking tour - this tour also allows time to shop along the way! Explore Melbourne's famous laneways and beautiful arcades, discover amazing street art, see some of the most loved landmarks and learn about Marvellous Melbourne! Need help shopping for your Spring Racing Carnival outfit? Don’t know a fascinator from a fedora? Join our Spring Racing Styling day and our expert personal stylists will have you race-ready in no time! More than just a walking tour! This tour also gives you time to shop along the way! 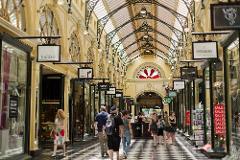 Explore Melbourne's famous laneways and beautiful arcades while shopping for locally designed and made products. 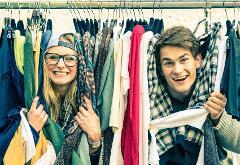 Discover the hidden vintage clothing stores in the heart of Melbourne on a three hour walking tour with a local guide. Embrace your curves an exclusive tour of fashion for fuller figures with a personal stylist to guide you every step of the way! Designed for women size 14 to size 24. 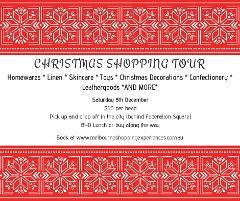 Join Melbourne Shopping Tours to get your Christmas shopping done early. All profits to Share the Dignity. Sip champagne and view the latest styles to hit the Hear Us Roar website! 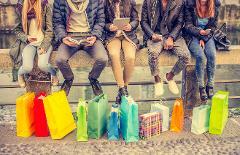 Join Melbourne Shopping Experiences on their Christmas themed shopping tour, with outlets from homewares and gifts, to toys, to confectionary and more. Tick off all of your Christmas shopping in just one day!